There are several series of Non-isolated Point of Load regulators (niPOL) with different input voltage ranges and output voltages. These are all featured with high efficiency and high power density with paralleling capability to expand output power. 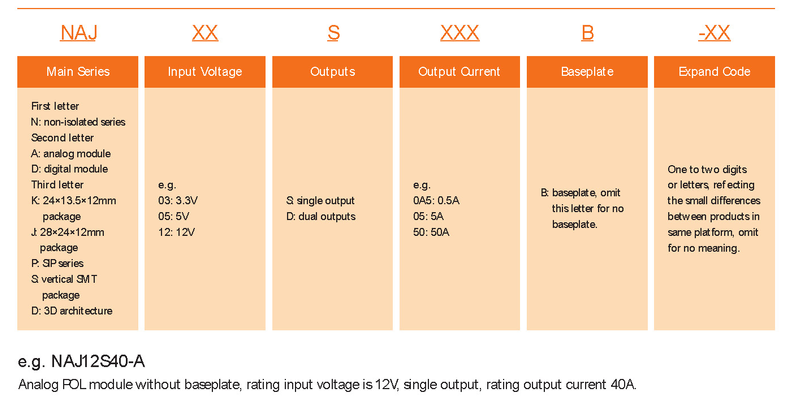 Please visit the Non-isolated Regulator selection table and you may download the datasheet for details.